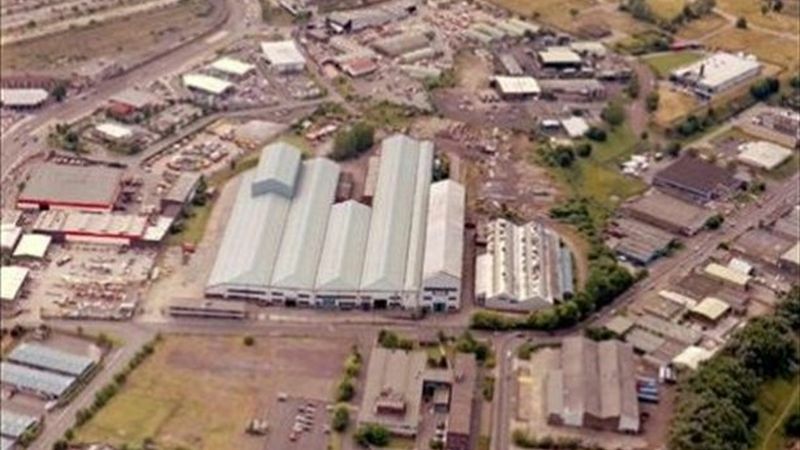 The Saltmeadows Industrial Park lies within the East Gateshead Industrial area immediately off Saltmeadows Road and close to the A184 Felling By Pass which links Gateshead Town Centre with A194(M) and the A19 Trunk Roads. The premises comprise single storey steel framed units forming part of an industrial complex formerly occupied by NEI Clark Chapman. Bay 6/7 is rectangular in shape with a span of 18.25m (60') and a length 91m (300'). The unit has a concrete floors throughout and an internal clear height of 7.16m (23'6'').The external walls are of brickwork to a dado level above which is profile steel cladding. The roof is double pitched and also of profile steel sheet covering incorporating translucent rooflights. Internally, the premises are provided with WC facilities and 10 tonne overhead travelling cranes. Vehicular access is provided by way of steel roller shutter loading doors to each gable. Bay 6/7 are capable of subdivision if required. Externally, there is concrete hardstanding circulation areas to the front and rear of the premises and car parking is provided within a common area immediately opposite.